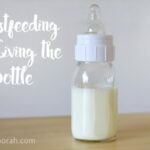 With my first two pregnancies I had to be induced at 42 weeks. Thankfully the inductions went smoothly and besides pitocin, limited interventions were needed. But my hearts desire was always to go into labor naturally. I just recently gave birth to our third baby (read my birth story here) and I was able to go into labor naturally this time! 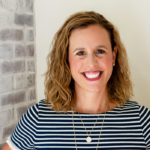 There were a few things I did to prepare for a natural delivery and recovery. Today I want to share what may have made the difference this time around! Of course, pregnancy is complicated. 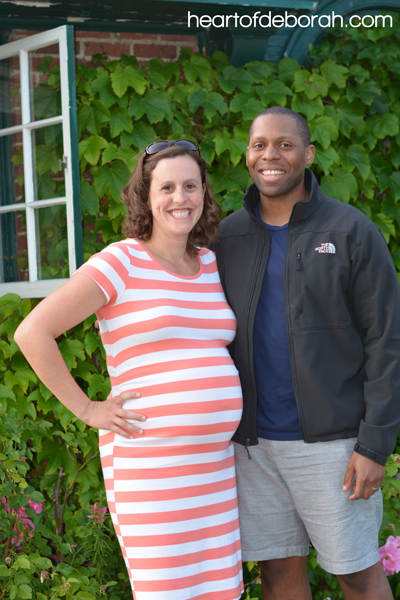 Doctors are still unsure why one woman may go into labor sooner than another. So there is no guarantee, but these 7 things can’t hurt! 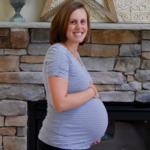 I used these 7 ways to prepare in mentally and physically for a natural labor and delivery in my third trimester. So let’s get to it, here is my baby to-do list! With my first two pregnancies I was induced at almost 42 weeks. 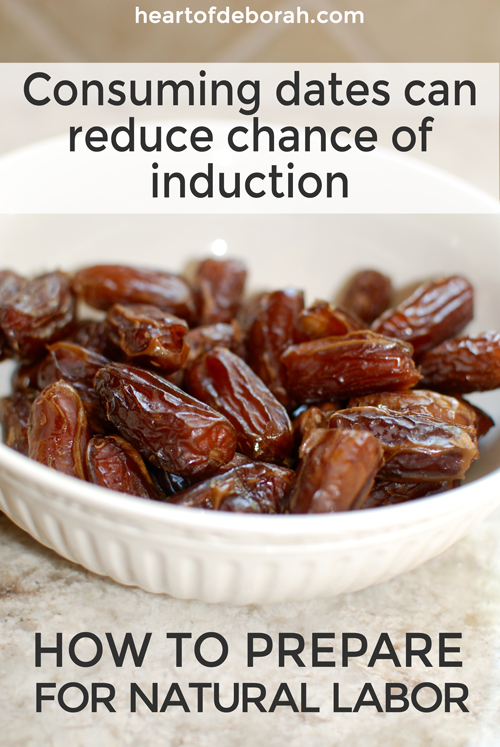 Did you know the consumption of dates in the last 4 weeks of pregnancy may help reduce induction? A study done in the Journal of Obstetrics & Gynaecology found that women who consumed six date fruits per day for 4 weeks prior to delivery were less likely to need induction and augmentation of labor. The women who consumed the date fruit also had significantly higher mean cervical dilatation upon admission. In my third trimester I stocked up on dates and added them to my yogurt, oatmeal and smoothies. Here is where you can buy plain dates . I also loved eating larabars at the end of pregnancy. In many of the flavors, the first ingredient is dates! Starting at the end of my second trimester, I added red raspberry leaf tea to my diet. It supposedly helps ease labor and delivery pain. In the warmer months I like drinking it cold. I add some lemonade and put it in the fridge. Find the recipe for the iced tea red raspberry leaf tea here. Be sure to talk to your doctor before adding this tea to your diet. Starting around 38 weeks I upped my consumption to 4 tea bags a day. If your baby is good position (head down), try adding squats into your daily life. Throughout the day I added 10 plie squats to my routine. I also spent a lot of time on my exercise ball. Gently roll your hips in a circle or move side to side to open up your pelvis. It kept me flexible and it was good practice for movement during labor! Birthing balls are also great when you are working through a contraction. I am obsessed with these frozen postpartum pads. I made them every time I gave birth and I’ve even made them for friends!. You can make them far in advance and store them in the back of your freezer. The fresh smelling lavender oil and the soothing aloe vera seemed to help with healing. After my first delivery, I didn’t know until about 10 days postpartum that I should be doing sitz baths. I tore during my first delivery and it wasn’t exactly stitched up well. I went back to the doctor about a week after I gave birth and she recommended a sitz bath multiple times a day. She said if I didn’t do that then I may need reconstruction 6 weeks postpartum. Thankfully everything healed naturally with this healing sitz bath postpartum recipe. In all my pregnancies I memorized specific scriptures for labor and delivery. It was helpful for my mental preparation before labor as well as after. I was also able to bring some of them back from memory during contractions. The second time around in addition to the scriptures I created a vision board. It was a place to keep my favorite scriptures, song lyrics and inspirational quotes. As much as possible I used music to calm myself instead of medication. We’d love to hear from you! 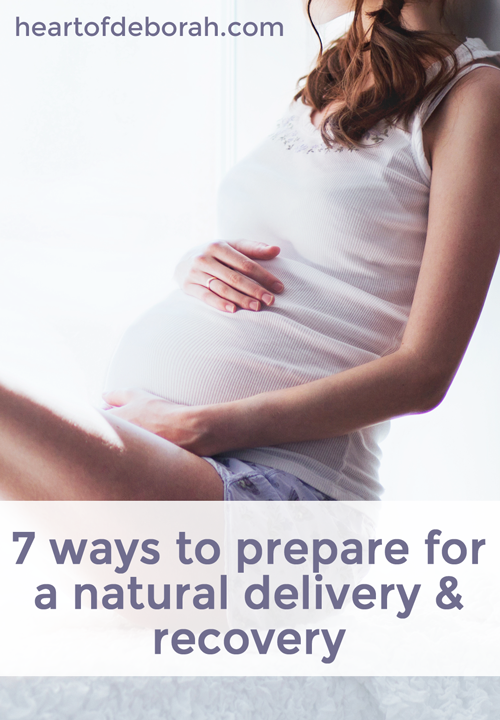 How did you prepare for a natural delivery? Share your story in the comments below. How Did You Prepare for a Natural Delivery and Recovery?